Keeping your arms safe in battle should be a priority, if only because they are what let you keep wielding your weapons and defending yourself. 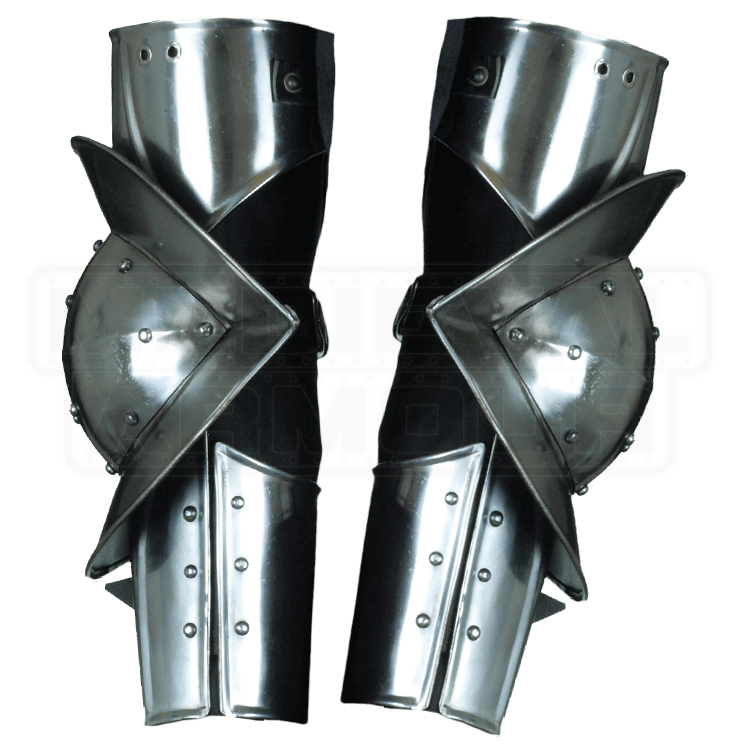 This Gothic Arm Armour will go a long way towards encasing your arms in protective steel. The armour is crafted from 18-gauge steel and features a shiny metal finish, as well as a look that complements our other Gothic armour pieces. It includes the couter, a metal shell that wraps around the elbow, the rerebrace or upper arm cannon, and the vambrace, which offers protection for the forearm. The bracers consist of two half-tubes that are hinged on one side and rotate to wrap around the forearm, before being belted together. Rolled edges and rivets increase safety and deflection. Adjustable buckle straps customize the fit of each piece. 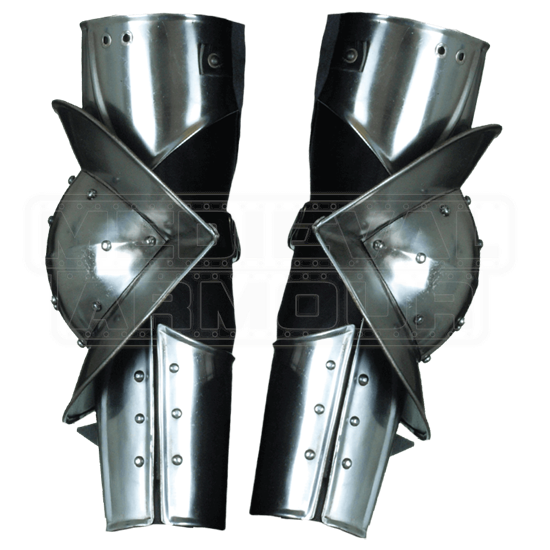 If you are looking to go into battle well protected, then you will at least wish to wear this set of Gothic Arm Amour.